Our journey continued to Lake Naivasha, the second largest and highest of the Central Rift Valley lakes. On its shores, Elsamere, the former home of Joy Adamson, best known for the chronicles of her lioness Elsa in “Born Free”. But there was a lot more to Joy Adamson. Besides being very active in wildlife preservation she was also a wonderful artist. She illustrated 7 books relating to East African Flora and was recognized for this work by the Royal Horticultural Society of Great Britain. She painted around 700 pictures of the natives of Kenya. Many of her paintings can now be found in the Nairobi National Museum. It was wonderful to be in her house, having dinner in what used to be her dining room and seeing her paintings on the walls. Hippos will sometimes wonder around the backyard at night and we were warned not to cross through the yard after dinner to get to our rooms. They might not look it, but hippos are actually the most dangerous animal to humans. We spent the afternoon on Crescent island which was a short boat ride away across the lake. 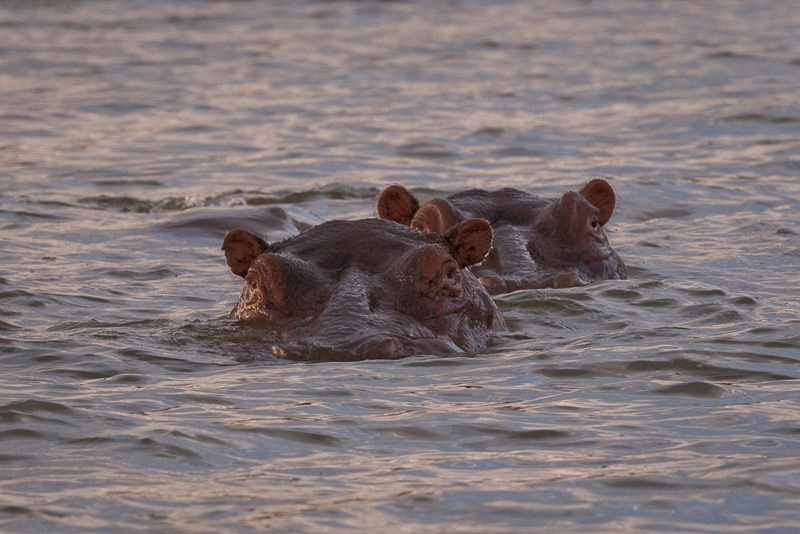 The local hippo population observed us with watchful eyes. There are no predators on Crescent island, so you are free to walk around. This was a very welcome change to spending so much time in a vehicle. The trip was almost canceled due to the weather, and we were all glad this did not happen. It was wonderful to walk around among the wildlife. Plenty of giraffes, zebras, gazelles and wildebeest. Wildebeest are truly odd looking creatures with even stranger behavior. They seemed to be running around like mad for absolutely no reason whatsoever. 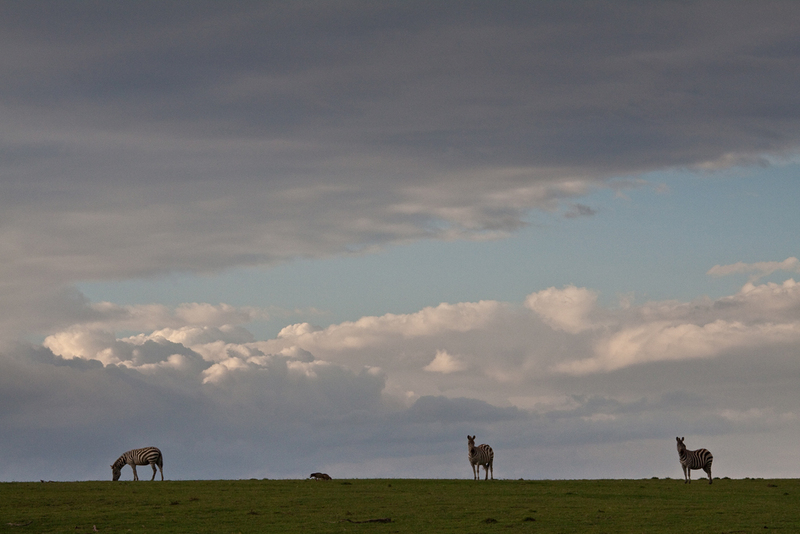 The dramatic sky of the distant storm provided a beautiful backdrop to these zebras standing on one of the hills.